It will soon be 2018, yet most people still think it’s 1970 in Las Vegas. That’s when the Strip was run by the Mob. Remember the movie Casino ? Well, Bugsy is out and Wall Street is in. Yet that old image of Bugsy still lingers, and Las Vegas promotes it in all its glory at the National Museum of Organized Crime and Law Enforcement (The Mob Museum) in downtown Las Vegas on Stewart Ave.
Moe Sedway, longtime associate of Benjamin “Bugsy’ Siegel and Meyer Lansky, testified before the Kefauver Committee in Las Vegas in 1950. 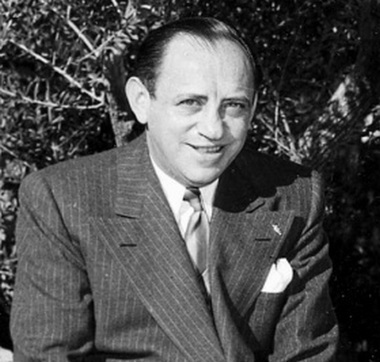 Sedway, along with Gus Greenbaum, took over the operation of the Flamingo Hotel and Casino on the night Siegel was assassinated in 1947. “Moe Green,” a character in The Godfather, was allegedly based on Sedway and Greenbaum. nation to hold the Kefauver Committee hearings on organized crime in 1950. It’s a perfect backdrop for an authentic view of the mob’s impact on the city. The Mob Museum presents the story from the perspective of both organized crime and law enforcement. Visitors get to be part of the action through theater presentations and interactive environments. Visitors can shoot a simulated Tommy gun, listen to authentic FBI surveillance tapes, and take part in FBI weapons training. There are more than 2,000 artifacts and storylines pertinent to the history of Las Vegas and America. The newest display is artifacts highlighting the law enforcement work of the famous T-Men, the U.S. Treasury Department’s Special Intelligence Unit. The collection, an expansion of the popular “Follow the Money” exhibit, showcases key artifacts from the highly publicized trial of Al Capone, including the final memo detailing the case against the notorious mobster Moe Sedway. 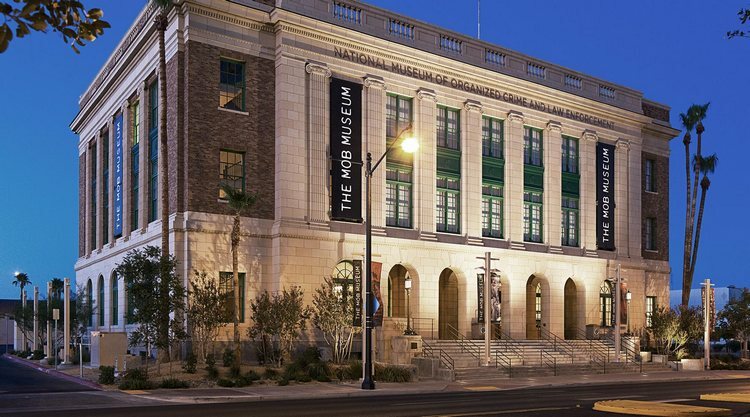 Since opening in 2012, the museum has accumulated numerous accolades, including USA Today’s “12 Can’t Miss U.S. Museum Exhibits.” The Mob Museum opens daily at 9 a.m. 702-229-2734 & themobmuseum.org. Can anyone tell the difference between “complete” and “finished”? No dictionary has ever been able to define the difference between these two words. However, in a linguistic conference held in London, Sun Sherman, an Indian American, had an answer: “When you marry the right woman, you are ‘Complete.’ If you marry the wrong woman, you are ‘Finished.’ And, when the right woman catches you with the wrong woman, you are ‘Completely Finished.’” His answer received a standing ovation. Wait! No we don’t! This is Vegas! There are still feasts and fests to attend and enjoy while the heat is on! The Prince Kuhio Ho’oalaule’a Pacific Islands Festival (H.P.I.) 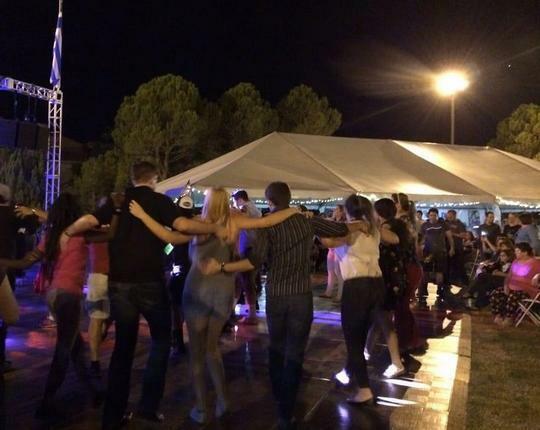 in Henderson is September 9th (10 a.m. until 8 p.m.) and 10th (10 a.m. until 6 p.m.) in and around Water Street, with stages set up at their Events Plaza and Convention Center. 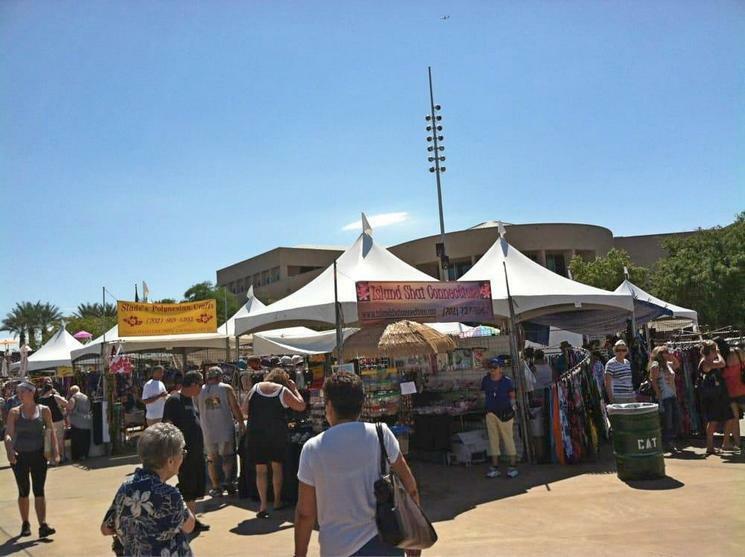 The festival will have arts and crafts, Hawaiian games, workshops, a petting zoo, a car show (on Sunday), live entertainment running all day and Hawaiian food. They will also have an indoor career/business and health fair. Admission is free so go enjoy! While you are in the area, perhaps staying at Sunset Station or Fiesta Henderson, you might want to combine your trip and attend both the H.P.I. Festival on Sunday and the Polynesian Football Classic game on Saturday, September 9th, being held at Sam Boyd Stadium. There will be two games played with general admission of $27.25. If you have a student pass the price is $23.25. Both prices listed include the ticket fees. At 3:30 p.m. the Utah Hawks will play the Liberty Patriots (Henderson). Fiji The Artist, a Polynesian artist with several albums to his Grammy nominated credit, features the Pacific Island Sound. He will be performing at approximately 6:30 p.m. (between games). At 8 p.m. the Utah Bingham Miners go against the Kahuku Red Raiders from Hawaii. 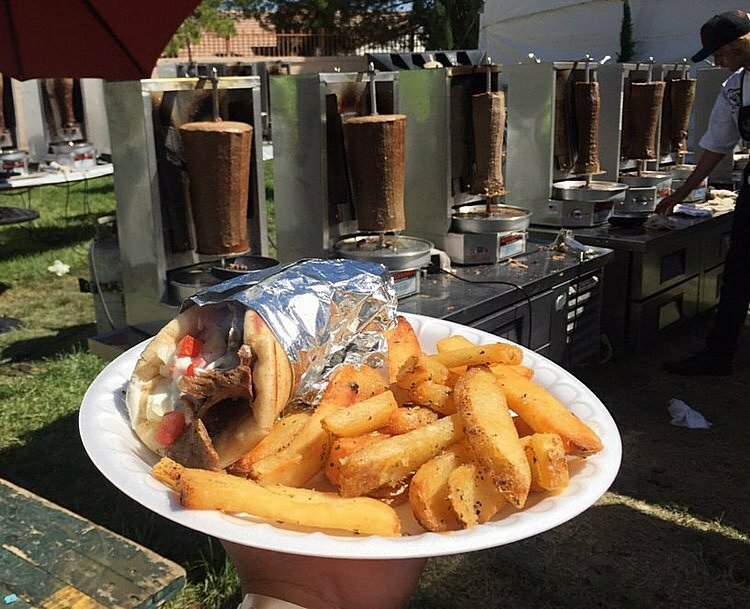 Gates open at 2:30 p.m.
Have you ever gone to the Las Vegas Greek Food Festival? This will be their 45th annual event at St. John Greek Orthodox Church. The church is located west of Jones at Hacienda and El Camino Rd. Admission is $7 (12+ ages) with children under 12 free. They have a 3 day pass for $12. Also, you can save $5 if you call to purchase their coupon booklet for $20 which contains an admission ticket ($7) plus 3 food coupons ($6 each). Call (702) 221-8245 to purchase this booklet direct from the church. Hours for Friday are 3 p.m. until 11 p.m. Saturday and Sunday hours are noon until 11 p.m. and 10 p.m., respectively. This is a fun event if you like everything Greek! Greek art, Greek food-gyros, baklava, shrimp santorini, souvlaki, Greek jewelry, Greek clothing … just shop after shop of stands to browse, and of course entertainment-music-dancing. Yes! You can dance! Opa! And, don’t be deterred … They also have non-Greek items for sale to keep your interest. The parishioners of this church spend days preparing the food and pastries, and they are always good and worth taking home. The proceeds from this festival go to the church, so they have much invested in the outcome of their festival. My tip for this festival is to go on Saturday or Sunday early and park on one of the side streets within a block of the grounds. If you wait until later, you will have to find parking in their lots or go farther out to Rainbow Blvd. and take their free shuttle back. The festival is always packed in the evenings, and the food lines are super long! Now, here’s a relative newbie that began last year. The 2nd Annual Vegas VegFest will be held Saturday, September 30th at the Clark County Government Center. The event and parking are free, with donations accepted, and will be held in their Amphitheater and parking lot from 10 a.m. until 6 p.m. This is not your typical ‘you-should-have-2 servings-of-vegetables-daily-such as,-broccoli-carrots…’ event. No, no, no … They have vendors with food prepared that you can purchase! Panevino, Las Vegas’ famous restaurant with dining views across from the airport, is a sponsor and cooked up batches of gluten-free ravioli in a creamy tomato sauce last year. 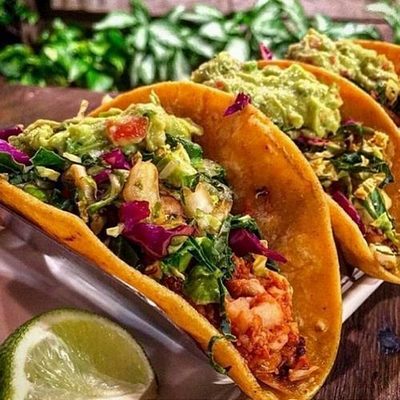 They also have smoothies, juices, veggie burgers, chicken, wings, bean salad, cheesecake, Thai food, Indian food, and Mexican food for purchase. Of course, there will be speakers and food demonstrations. 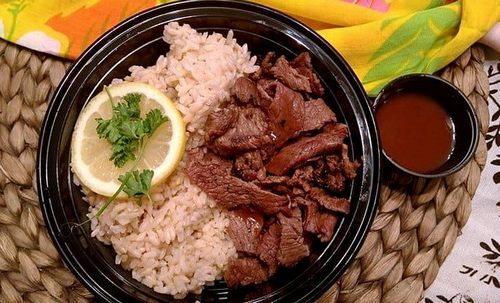 Bring your blanket and an empty stomach … and enjoy! 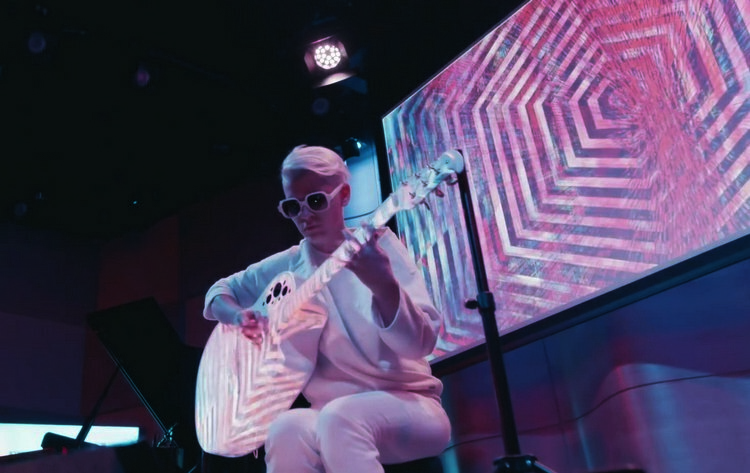 Composer and guitarist Kaki King, hailed by Rolling Stone magazine as “a genre unto herself,” will perform at the Historic Fifth Street School Friday, Sept. 8 at 7:30 p.m. as part of her fall tour. Tickets are $25 for adults and $12.50 for those under 18. For more information, tickets and reservations go to Kaki King.com. With recreational marijuana legal in Nevada, the 56-member Las Vegas Paiute tribe will be opening a 15,800-square-foot store on a 2.5-acre land parcel next month next to its already well-established Mini Mart at 1225 N. Main Street. On tribal land, the retail outlet will be called Nuwu Cannabis Marketplace and have a 168-foot checkout desk with 13 point-of-sale stations. This is being billed at the largest stand-alone retail marijuana facility in the United States. The LINQ Promenade is now the first and only Nevada location for the summer to have a Snapbot, an interactive yellow vending machine through which Snapchatters can virtually try-on and purchase a pair of Spectacles by Snap Inc.
“Spectacles” are sunglasses featuring a built-in video camera that records exactly what the wearer sees, hands-free, with a touch of a button. 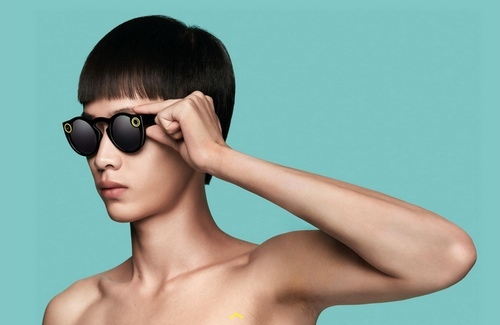 Snaps taken with Spectacles save wirelessly into Snapchat’s “Memories” and can then be uploaded to a Snapchatter’s Story or shared directly with family and friends in a new circular video format that can be played full-screen, in any orientation. At the Snapbot location, customers can virtually try on each color sunglasses by pushing the corresponding button (coral, black, or teal). This virtual try-on technology leverages the same technology that powers Snapchat Lenses. 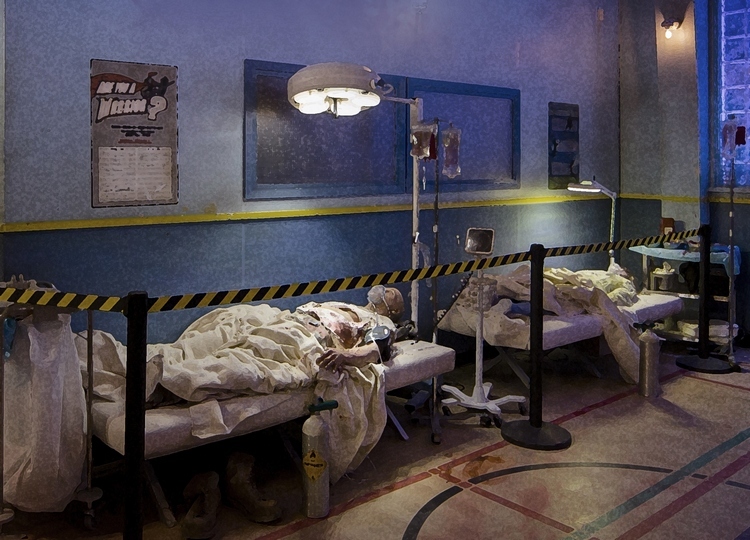 The new zombie-themed walk-through attraction “Fear the Walking Dead Survival,” inspired by AMC’s hit TV series, “Fear the Walking Dead™,” opened downtown at the Fremont Street Experience. The multi-sensory experience is a combination of motion rides, mazes, and interactive videogames transporting visitors into a zombie apocalyptic world. Tickets start at $30. Hours of operation are daily Sunday–Thursday 1 p.m.–1 a.m. and weekends until 2 a.m. The collaborative project is by the Fremont Street Experience, AMC and Triotech, a Canadian company known for producing technologically advanced, interactive award-winning attractions.